Over the last five years or so we have come to accept that New Japan Pro Wrestling’s (NJPW) Wrestle Kingdom is by far one of the best wrestling pay-per-views of the year. While they have several noteworthy PPVs and tournaments throughout the year, NJPW’s biggest and grandest show of the year always comes up with great matches and is one of the most anticipated shows in the world of professional wrestling. Through time NJPW has built itself up as one of the true rivals to the WWE when it comes to world class level professional wrestling content and has often been hailed by critics as the better product in comparison. Extending its reach globally, outside Japan, the brand has over the last few years built a strong platform for itself, backed by their technically sound and well put together matches, strong focus on delivering wrestling as a sport over entertainment and of course a very talented roster. NJPW does have an extremely talented roster outside of the WWE, with the likes of current heavyweight champion Kenny Omega, former 4-time heavyweight champion Kazuchika Okada, former WWE veteran Chris Jericho, NJPW veteran Hiroshi Tanahashi, local fan favourite Tetsuya Naito, Kota Ibushi, Will Ospreay, Tama Tonga, Jay White, Kushida, several talented tag teams including The Young Bucks, and many more. 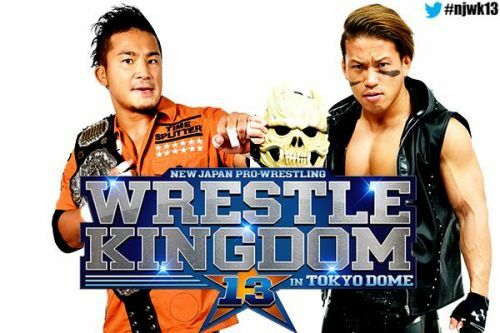 With all these names plus more scheduled to perform at Wrestle Kingdom 13, the excitement around the event is electric. 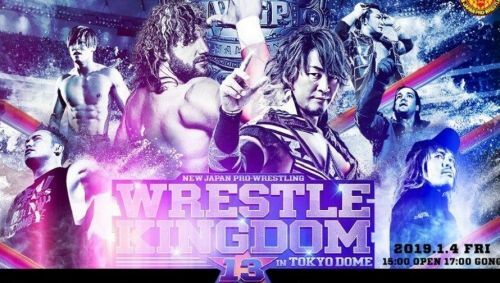 In anticipation of next year’s extravaganza - Wrestle Kingdom 13 which will be streamed live on NJPW World from the Tokyo Dome in Tokyo on Jan 4th, 2019, here is looking at 6 matches which will ensure that the 28th edition of NJPW’s grand professional wrestling showcase can again be expected to be a blockbuster of a show. Kushida is a veteran of the Junior Heavyweight division and is always expected to put on a good match whenever he steps inside the squared circle. Due to the unfortunate injury sustained by the impressive Hiromu Takahashi, who had to relinquish his title, Kushida has yet again stepped up to win the title and bring his fast-paced brand of action to the Junior division. He faces the exciting Taiji Ishimori from the newly re-formed Bullet Club, a man who has won critical appreciation for his match with Hiromu Takahashi in the finals of the Best of Super Juniors Tournament this year. Ishimori will be gunning for the title while the 6-time champion Kushida will give it his all to retain the title, setting us up for a fast-paced exciting match for the IWGP Junior Heavyweight Championship.